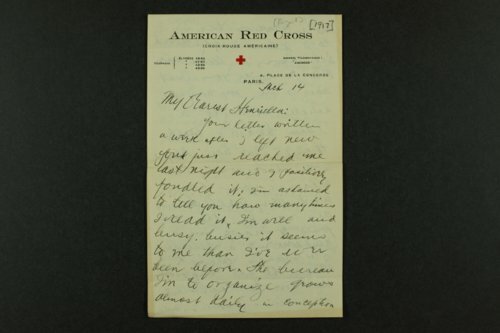 This series of fifteen letters was sent by Henry J. Allen to his wife Elsie Jane Allen and his daughter Henrietta Allen. Subjects broached in the letters concern family, friends, Wichita community news, the Allens' new home at 225 Roosevelt, the horrors of war, innocence of youth, France and Italy. Allen was strongly affected by the horrors of the battlefields of World War I.